Last visiting Fukunaga in 2016. 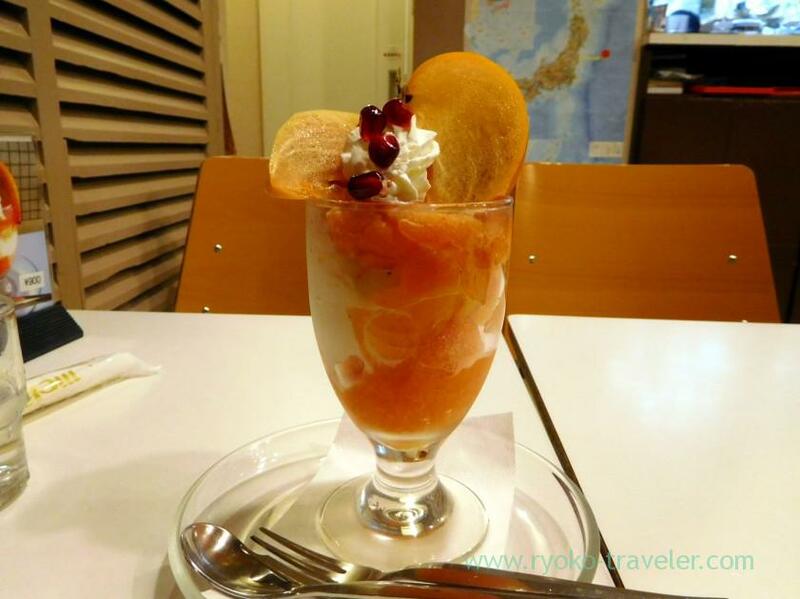 Persimmon is one of my delight ingredient of parfait at Fukunaga Fruits Parlor. 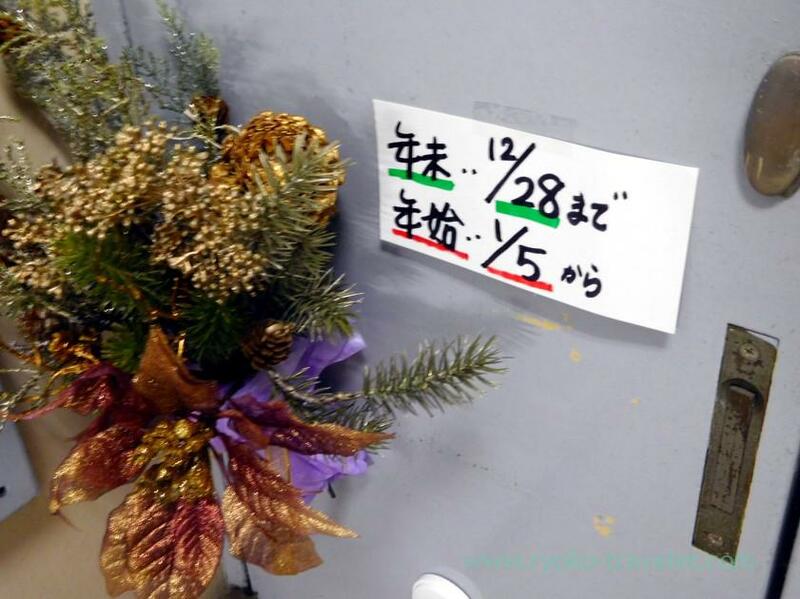 When I visited there, it was just before Christmas. Truthfully speaking, I don’t eat persimmon so much. 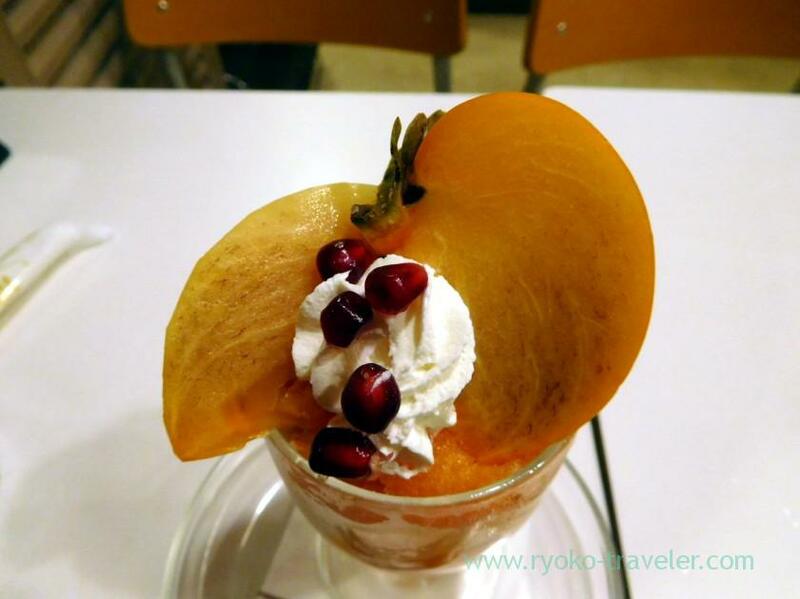 But Fukunaga’s persimmon sorbet is sweet and tasty. It have sticky texture and I love it. The glass was packed with persimmon sorbet. But I have to give up eating two parfaits because I have another food that I want to have when I visit Fukunaga. That’s is fruits sandwich. Fukunaga’s fruits sandwich is so loved as well as their parfaits, but sometimes it is sold out because of running out of breads. In that case, they hang the board “Bread sold out” at the ground floor. But there wasn’t such a board when I visited there. I was lucky. So, I could have delight fruits sandwich. 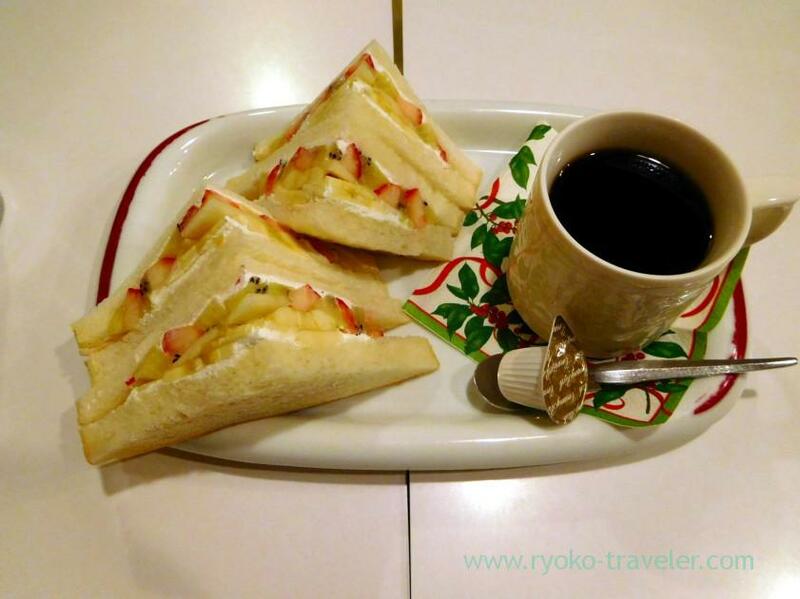 Half size of fruits sandwich set (ハーフサンドセット, 650 yen). 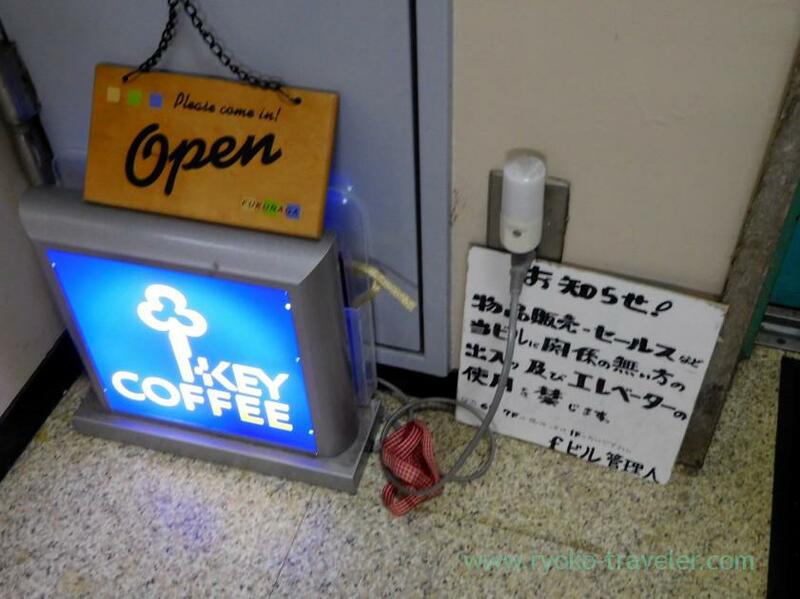 It have four pieces of fruits sandwich and drink (coffee or tea). 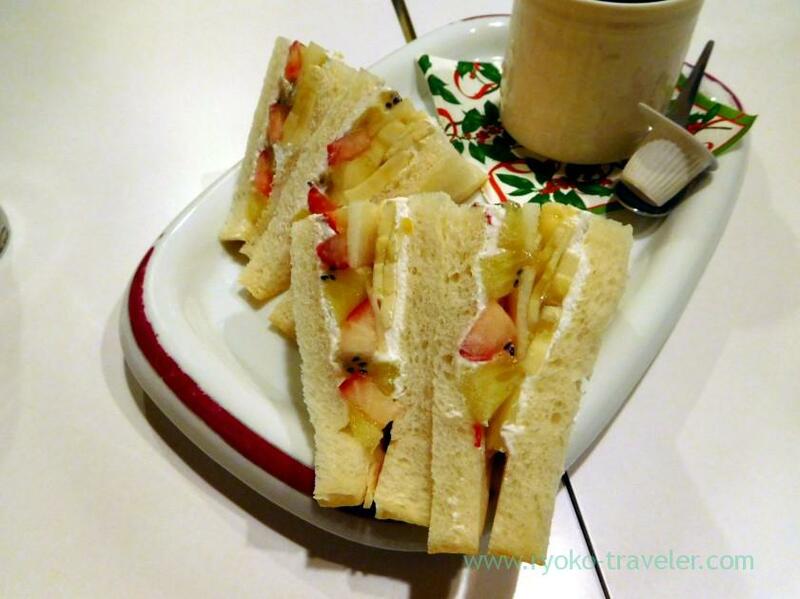 Of course, if you have full size of fruits sandwich (eight pieces), they prepare it ! 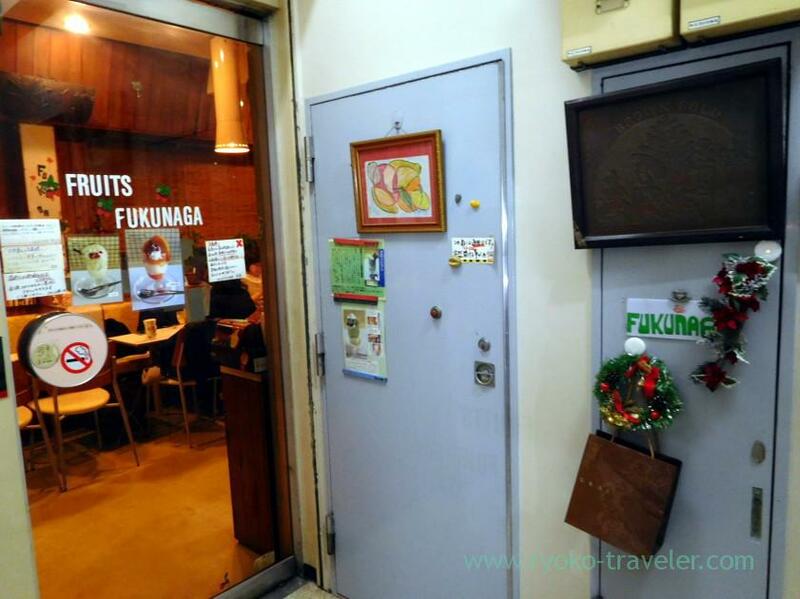 Fukunaga is open until December 28th of this year. And 2017, they will be open from January 5th. I think they’ll finish serving persimmon parfait this season soon. 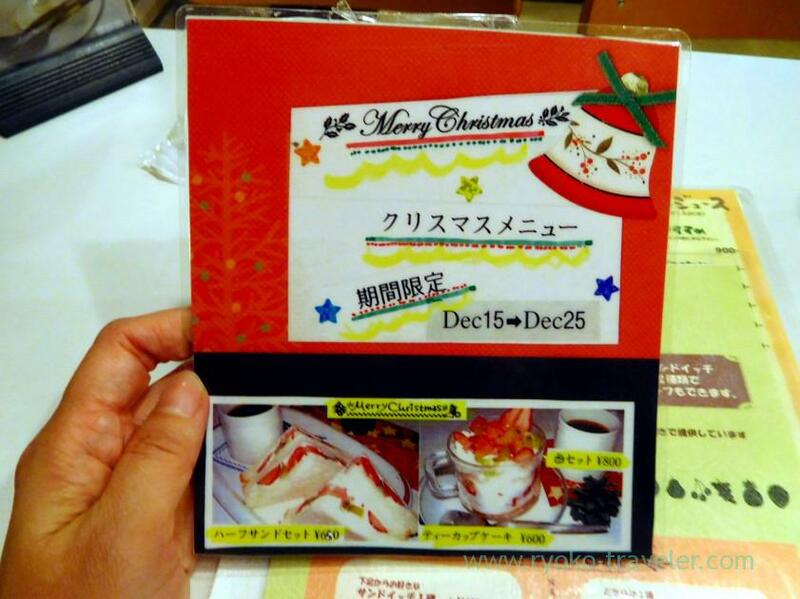 They’ll start to serve strawberry parfait from January. Mmm that parfait looks so good!